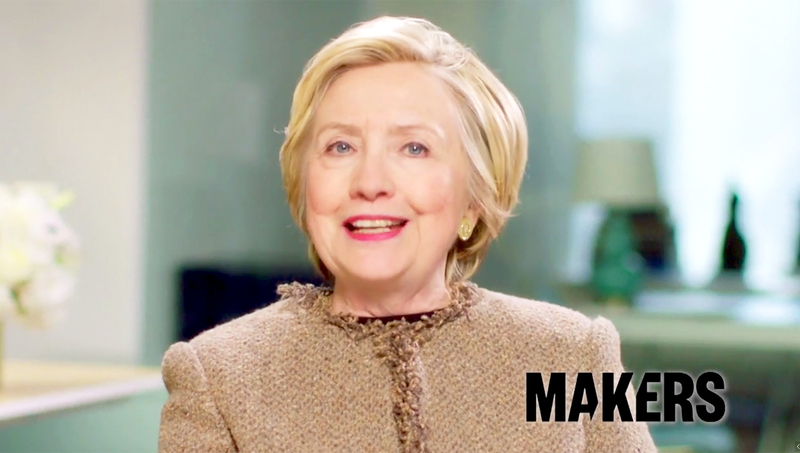 Hillary Clinton is supporting the 2017 MAKERS Conference in her first video statement since Donald Trump&apos;s presidential inauguration. The former secretary of state, 69, spoke about women&apos;s rights and the Women&apos;s March on Washington in the clip, which was published by the Associated Press on Monday, February 5. "Despite all the challenges we face, I remain convinced that yes, the future is female," she said. "Just look at the amazing energy we saw last month as women organized a march that galvanized millions of people all over our country and across the world." She added: "And remember, you are the heroes and history-makers, the glass ceiling breakers of the future. As I’ve said before, I’ll say again — never doubt that you are valuable and powerful and deserving of every chance and opportunity in the world." The gathering, which will shed a light on issues like violence against women, will host hundreds of innovative leaders. This year, the theme is Be Bold. "We need strong women to step up and speak out. We need you to dare greatly and lead boldly," Clinton said. "So please, set an example for every woman and girl out there who’s worried about what the future holds, and wonders whether our rights, our opportunities and our values will endure." The 2017 MAKERS Conference will take place February 6-8 at the Terranea Resort in Rancho Palos Verdes, California. It will stream here. Watch Clinton in the video above!